Manchester United manager Jose Mourinho has confirmed that Michael Carrick will make a final start in the Red Devils shirt when they host Watford in the final game of the Premier League season. The 36-year-old has largely been a fringe player this term and this has mostly resulted from an irregular heart rhythm for which he underwent an operation earlier in the season. Carrick has been a solid performer for United at the heart of the midfield and the club have somewhat missed his influence over the course of the current campaign. 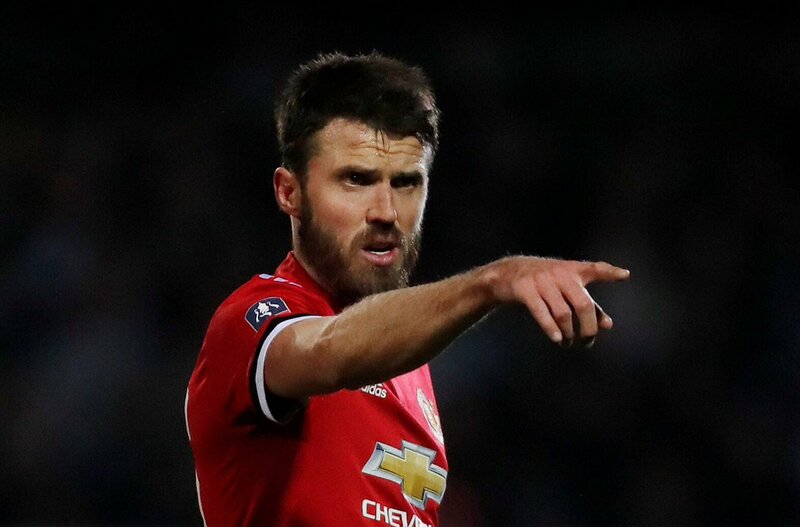 Nevertheless, the fans have the opportunity to watch Carrick play in a competitive game for one final time before he calls quits on his playing career. Manchester United are currently second in the Premier League standings with 77 points and they have the opportunity to cement their runner-up spot on Thursday night where they take on West Ham United on the road. The Hammers have picked up a couple of key draws against top-six opposition this term and United can still expect a tricky encounter with the club not under much pressure. The east London outfit secured their Premier League status after beating Leicester City in the weekend just past and they are likely to play with some freedom when United make the visit. West Ham’s previous victory over United came in the form of a 3-2 triumph in their final game at Upton Park during the 2015/16 season.